Thank you Kirkland Reporter for bringing this awesome award by! 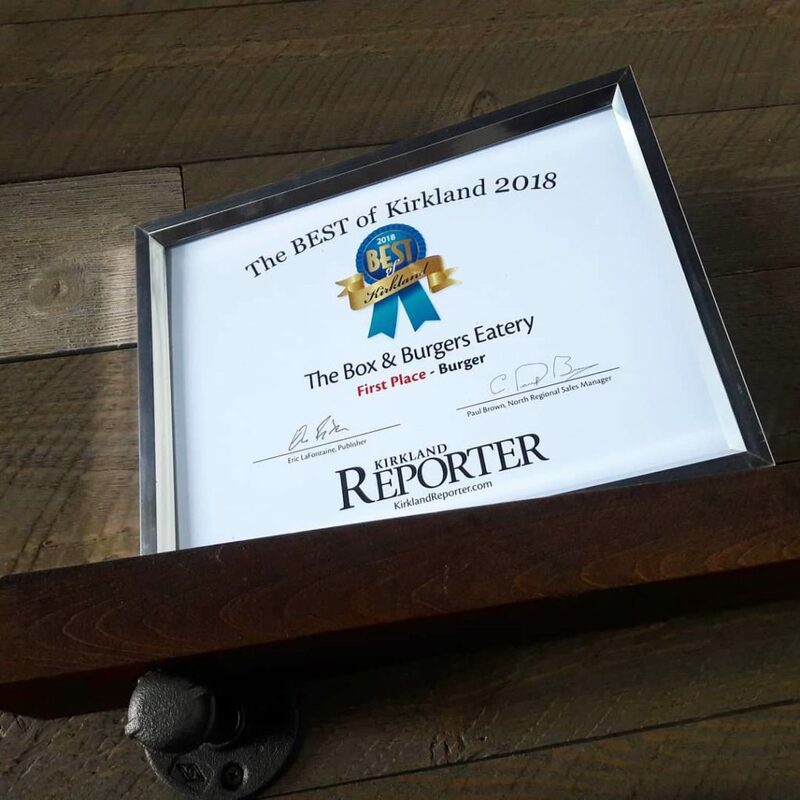 Best of Kirkland 2018 – The Box & Burgers Eatery for 1st place in the Best Burger category! We owe it all to our amazing supporters and staff!!! Previous Previous post: Thank you 425 Magazine for featuring The Box & Burgers Eatery in your July issue and including us in your list of Top 25 Burgers!